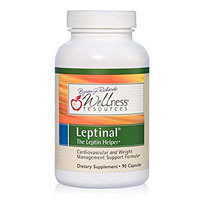 Leptinal is a nonprescription diet supplement that promises dieters that it will help them not only with their weight loss, but that it will also support them through additional health benefits. For example, The official website for this product describes it as being able to increase thyroid function as it promotes better overall cardiovascular health. It is also supposed to support healthy blood pressure and cholesterol levels as it offers nutrition for healthy bones and central nervous system. This is a rather large and dramatic claim for a single supplement to make. If it does live up to those claims, it easily surpasses many other products currently sold in the overall wellness category, let alone the weight loss category. The official website states that it achieves these benefits through “high quality nutrients” and that their use results in “healthy leptin hormone communication.” However, it also points out that there are neither stimulants nor hormones within this formulation. Each Leptinal softgel capsule was specifically designed to control the function of leptin within the body. Leptin is a hormone that is naturally secreted by the human body. It plays a role the formation of certain types of stored fat, including the white adipose tissue cells. That type of fat cell collects primarily around the middle and is typically considered to be the form of fat most associated with adverse health risks when it accumulates in excessive amounts. In fact, it is manufactured within those white adipose tissue cells, themselves. Once leptin is produced, it enters the bloodstream through which it travels to the brain. According to the official product website, it is at that point that the brain uses this hormone in metabolism signaling when it comes to thyroid, pancreas and liver function, energy production, bone formation and cholesterol synthesis. The site explains that it is due to these functions that leptin is at the core of weight management. It claims that a well running metabolism has established a “flow of leptin-dominant communication” between the brain and other parts of the body such as the liver, pancreas and the adipose tissue itself.